If you find a lucrative office space in another part of town or even another part of the country, your company may enjoy growth and increase its customer base. Moving your company to a new area presents opportunities to enjoy new and exciting changes, including staff motivation, increased brand recognition, and improved workplace culture. However, just like moving your home to another area, office relocation tasks can be daunting, especially if you are not well-prepared. You need to apply the right techniques, plan well in advance, and break down the process into manageable tasks. With the help of the best office movers in San Francisco, CA we’ve outlined a few tips to get you started. Moving company: A professional office mover has the equipment and resources to complete your business relocation with speed and efficiency, whether you’re moving to another floor in the same building or relocating out-of-state. It’s also crucial to hire movers both to prevent injuries to your employees and to ensure the business keeps functioning even during the relocation. Legal expenses: If you’re moving the business to a new state, factor in the cost of getting the appropriate business licenses and registering with the Secretary of State. You may need to work with your business attorney to ensure you have your bases covered. It’s also wise to discuss the move with your accounting firm or CPA to ensure you pay taxes to the appropriate authorities. New furniture: The cubicles, conference tables, and other furniture that look so great in your current space may not fit the floorplan of your new office. Be sure to take measurements of the furniture and the new space and budget for items you’ll need to repurchase. Space preparation: Your new office space may require some tenant improvements – like new plumbing or new flooring. Be sure to review your tenant improvement allowance with your landlord and determine if there are any expenses you’re responsible for paying. The security of your property and inventory is another fundamental thing to consider when moving your office to another region. Conduct research to ensure that the new region is secure for your company. Additionally, if you hire a moving company, it should have a valid insurance to cover your possessions while in transit. When moving your company to a new area, you need to inform several people, including suppliers, landlords, and customers. For your relocation strategy to be successful, you need to come up with an effective communication strategy. You can distribute flyers, use social media posts, send customized emails, place notifications on your official website, or use any other convenient method to get the message across. You may decide to use your company’s vehicles to relocate furniture and electronics. However, if you have bulk and fragile products, you need to hire professionals to do the job. You should hire an experienced moving company in your region to get a professional service at an affordable fee. If you’re moving your office to another city or state, you need to do research extensively about the cost of living in the new place. To interest existing employees to make the move, you may be forced to increase your workers’ remunerations if the new area is expensive. 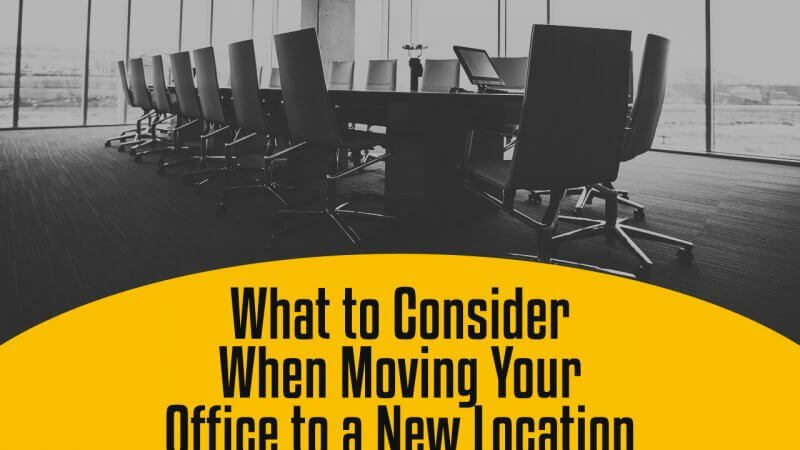 Additionally, plan to pay corporate relocation expenses to help those employees move their own households to the new location.